Born in Cambridge, England in 1946, Syd Barrett took to music at an early age. While in London for college, he joined the band that would become Pink Floyd as the guitarist and wrote many of their early songs. Soon he became erratic and forced to leave the band. After a brief solo career, he quit music and moved in with his mother where he painted and seldom spoke to others. Additionally, he died in 2006. Roger Keith Barrett, better known as Syd Barrett, was born in Cambridge, England on January 6, 1946. 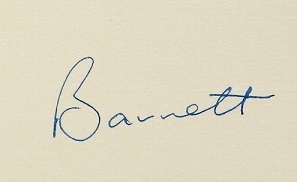 Barrett was the fourth of five children born to Max and Winifred Barrett, who encouraged his interest in music. Furthermore, he played the piano, ukulele, banjo, and guitar as a kid. He also spent time writing and drawing, and he won awards for his poetry in high school. 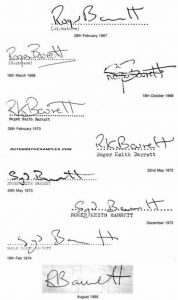 Several stories exist as to how Syd Barrett autographs acquired his nickname, “Syd.” Some sources say that he’s given the nickname around the age of 14 and that it refers to a local bass player named Sid Barrett. Others say Syd’s given the nickname as a kid at scout camp.